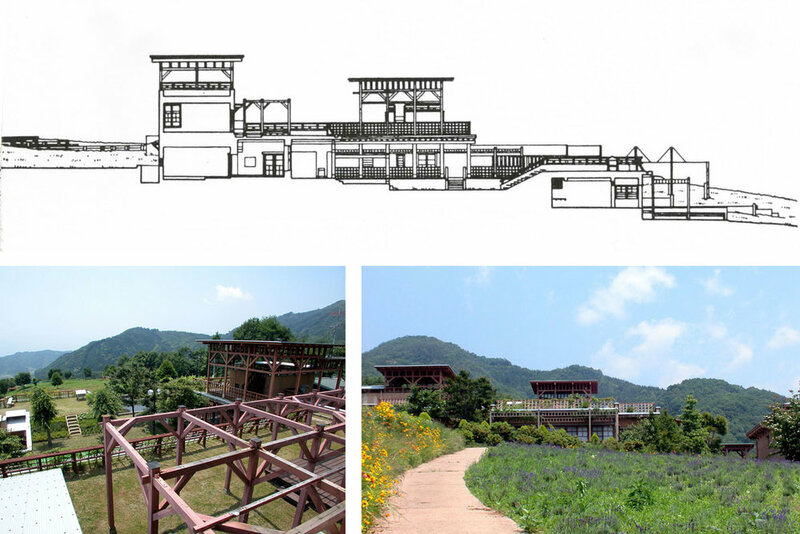 Nestled among the orchards of Makioka village, this community center is part orchard, part building. A network of cables supports grapevines that climb over the outdoor terraces, creating a dynamic ceiling that marks the seasons. In summer, the ceiling vines grow solid with leaves and fruit, but in winter this living ceiling dies back and opens up. 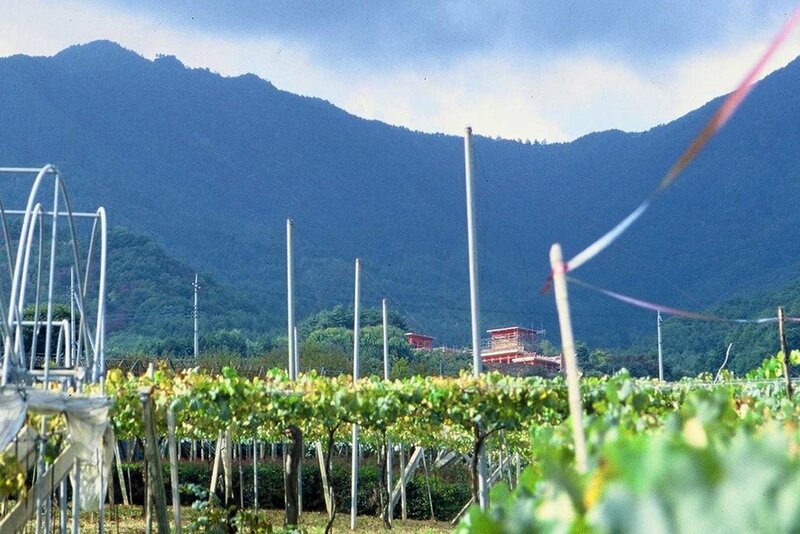 Railings too are covered in grapevines, supported by bamboo lattices. 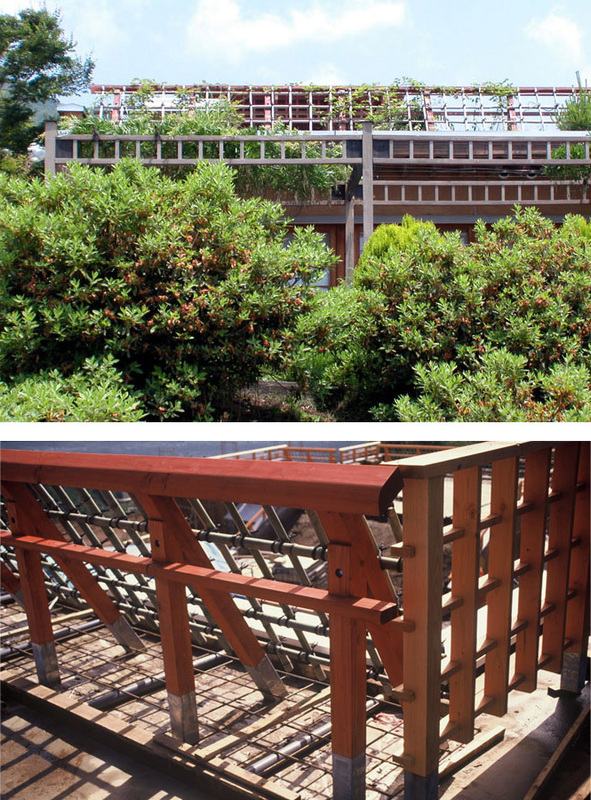 Vegetation is used as a building material, as a ceiling or floor or railing, so the building changes dramatically with the seasons and those use it are made intensely aware of the cycles of nature. It is a retreat that celebrates the fruit production of the town of Makioka, designed as a series of roof terraces overlooking the orchards of this lush valley, with a dramatic view of Mt. Fuji in the distance. All the roofs are terraces, some tiled, some earth-covered, some wooden, and a fabric of railings dominates the exterior. It is a building you climb up through as you do the site, with every roof being a new ground. 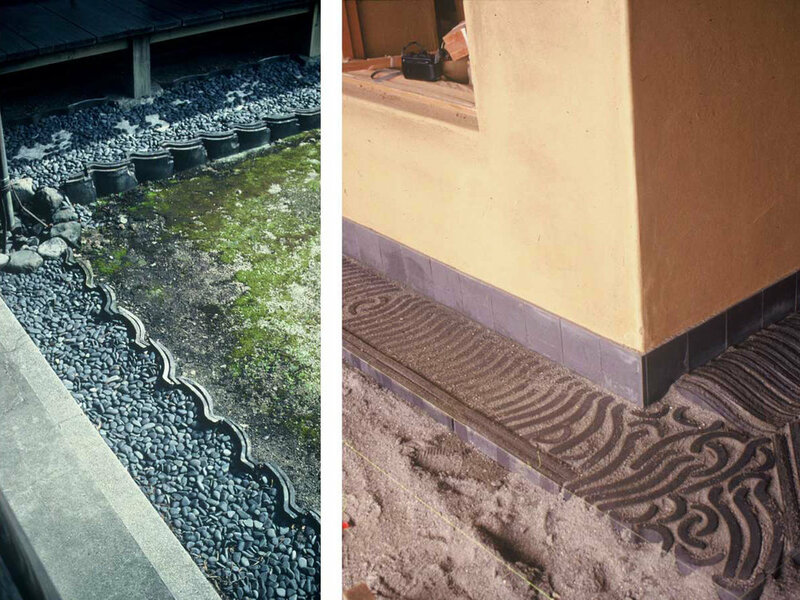 The exterior floor paving is made from traditional roof tiles, a common detail in older Japanese homes to contain a perimeter gravel drainage bed. The walls of the center are plastered with clay indigenous to Makioka, in the tradition of older buildings in the area. 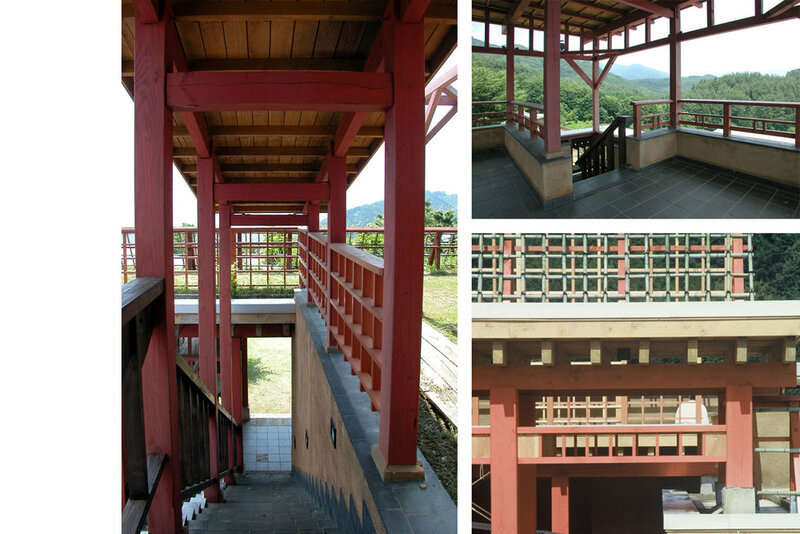 The community center is a rich tapestry of outdoor spaces with varying degrees of enclosure, all built using local craftsmen and materials, and from every terrace that is half-building, half-orchard, there is a view of Mt. Fuji. Tina Govan, Design Team, Atelier Zo, Japan.